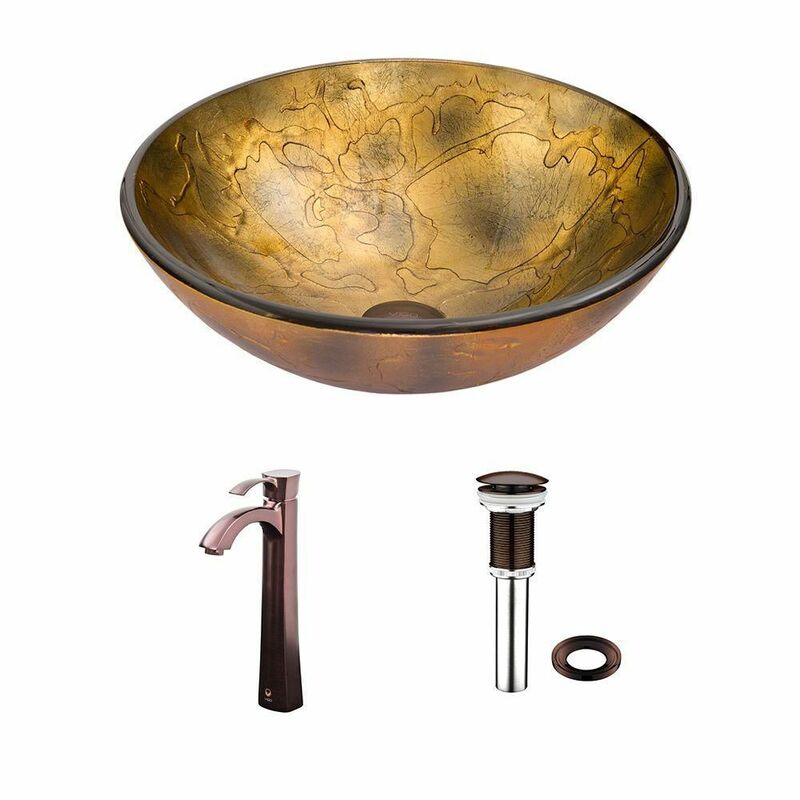 Add a touch of colour to your bathroom with a KRAUS glass vessel sink and faucet combination. Handcrafted from tempered glass, the modern bathroom sink coordinates with a variety of decor styles. A freestanding basin design creates a dramatic look with contemporary appeal. Vessel installation offers an easy top mount option for all your stylish bathroom ideas. The textured surface of the sink is dynamic and requires minimal maintenance to keep clean. Pair it with a sleek Riviera faucet for additional value, and create an instant style upgrade for less.